Besides yoga classes, stand up paddle boarding, and relaxing, our Manifesting In Paradise retreat offers a gorgeous backdrop that will guide you in the exploration of manifesting your dream life. We will have fun activities intended to help you tap into your own inner wisdom and heartfelt desires, what we call, GETTING CLEAR. 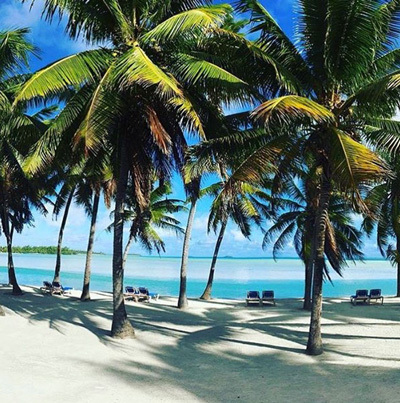 Between the beautiful clear blue waters and warm white sands in Aitutaki, the atmosphere will surely empower you with an energy perfect for creating a roadmap to manifestyour dreams! This life changing retreat will take place on the magical island of Rarotonga & Aitutaki. Breathtakingly beautiful, the living quarters where guests will stay during the retreat feature views of the lagoon. Drink in the panoramic views of the super-natural crystal clear water from your own private island. Non-stop flights from LAX to Rarotonga "main island" depart January 6, 2018 and are approximately $850 USD. To check flights, click here. Healthy, yummy food is part of the retreat experience, including breakfast, lunch, and dinner daily either hosted onsite or out and about in town. Some dinners even come with a classic island dance show, a beautiful sunset and evening cocktails. The cuisine is simple, delicious and fresh, using ingredients from the local markets. Guests will not only enjoy the grounds of the accommodations, but will have multiple excursions to explore the crystal lagoon via paddle board and/or kayak. The retreat includes some amazing day-trips to other surrounding sites. A full day will be spent exploring the lagoon on a Vaka Cruise with traditional music, food and a stop at One Foot Island! We will also visit Rarotonga, the "main" island, where you can check out the "city life". Manifesting in Paradise will feature stand up paddle classes and yoga classes led by Charlotte Piho. All classes will be offered in a way to relax, stimulate, and help guests grow in their own personal practice. Classes are open to all levels, beginner to practiced. Final balance due December 1, 2017. Every retreat is also a GIVE BACK initiative, where we will donate at least 10% of profits to a humanitarian partner in the community where each retreat is held. PRICING* | Worth every penny, trust. PAYMENT OPTIONS* | Again, worth every penny, trust. 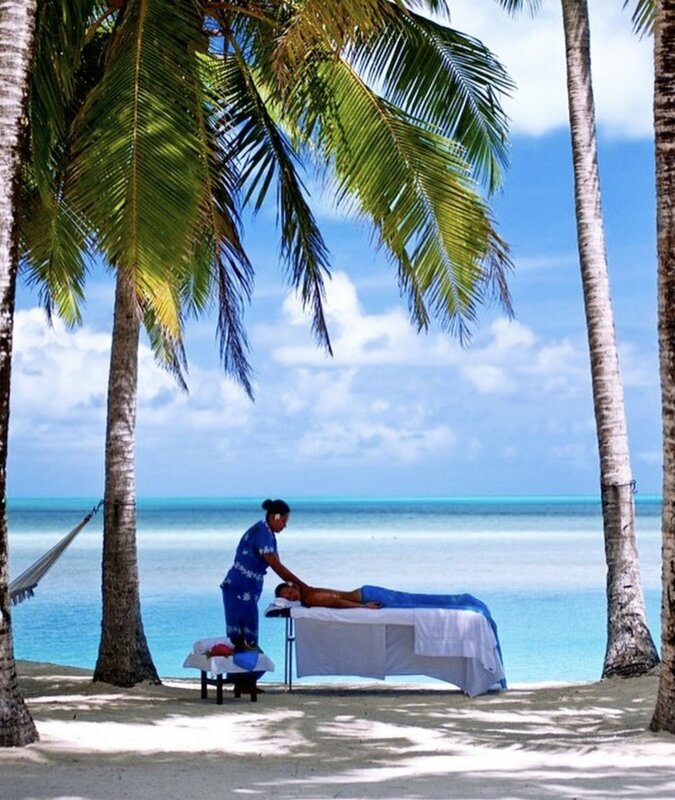 * Rates do not include airfare to and from Rarotonga; additional spa treatments or supplemental activities; or optional gratuities for fitness instructor, spa therapists, or staff. Sign up with your email address to receive news and updates about future retreats.